After working with the Les Vignerons d’Estézargues cooperative for several years, Édouard Laffitte, who had no background in farming, decided to set out on his own. Invited by Loïc Roure, then newly settled in the Roussillon, to share the wine-making facilities he had just acquired for his Domaine du Possible, Laffitte began searching for vines, specifically ones growing in north-facing, high-altitude vineyards, the better to make wines that were fresh and not excessively alcoholic. He eventually pieced together 7.7 hectares of parcels in the communes of Lansac (granitic sand), Rasiguères (shale) and Cassagnes (gneiss) to make the Domaine Le Bout du Monde, so named because visitors told him that getting there was like travelling to the end of the earth. The farming is organic and the vineyards are worked manually. The wines are vinified by soil type with as little intervention as possible (indigenous yeasts, no filtering or fining, no additives). The estate currently makes five reds (Grenache, Carignan and Syrah alone and in blends) and one white (Roussane). 100% Syrah from vines rooted in slate. Vinified in tanks. Given three weeks’ carbonic maceration. 12.5% ABV. Quebec agent: Glou. 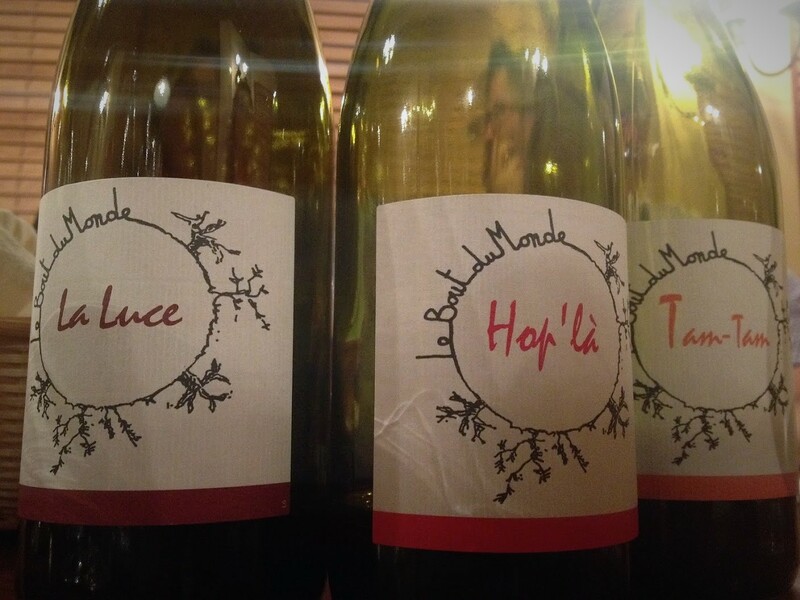 Grenache (40%), Syrah (40%) and Carignan (20%) from vines rooted in gneiss. Vinified in tanks. Given three weeks’ carbonic maceration. 12.5% ABV. Quebec agent: Glou. 100% Grenache from 35-year-old vines rooted in gneiss. Vinified in tanks. Given four weeks’ carbonic maceration. 13% ABV. Quebec agent: Glou.